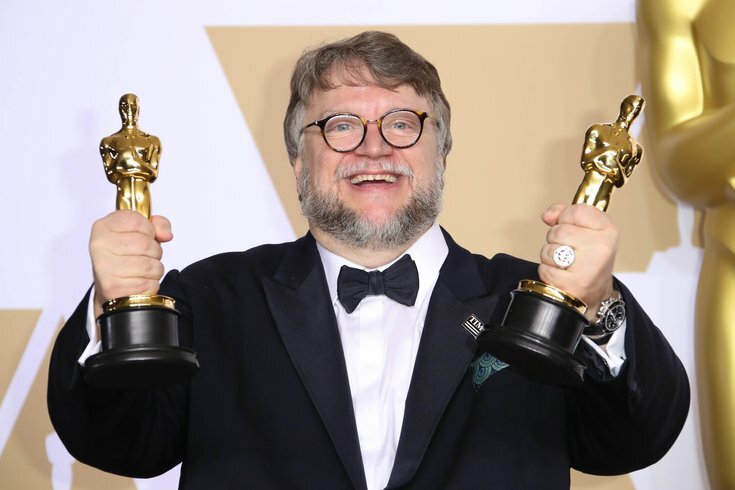 Guillermo del Toro poses with his awards for Best Picture for Best Director for The Shape of Water in the photo room during the 90th Academy Awards at Dolby Theatre. Guillermo del Toro has been wanting to create a stop-motion animation of "Pinocchio" since 2011, and it looks like the Academy Award winner is finally getting his wish. The film has officially been given the green-light by Netflix. Del Toro will write, direct and produce the classic tale, originally written by Carlo Collodi. The new adaption will be much darker than the Disney version. It will be set during the rise of fascism in Italy under Mussolini. We saw a similar 'totalitarian' setting in del Toro's “Pan’s Labyrinth," which was set during Spain's Franco regime. Mark Gustafson, known for the stop-motion animation of "Fantastic Mr. Fox," will co-direct the film. Patrick McHale, known for his work on “Over the Garden Wall” and “Adventure Time” is co-writing the script with del Toro. The puppets will be created by MacKinnon and Saunders, the same group that created the puppets for “Corpse Bride,” and “Fantastic Mr. Fox." The film will be co-produced by del Toro, The Jim Henson Company, and ShadowMachine, the group behind “Robot Chicken” and “BoJack Horseman.” Production begins this fall. “No art form has influenced my life and my work more than animation and no single character in history has had as deep of a personal connection to me as Pinocchio,” said del Toro in a statement.